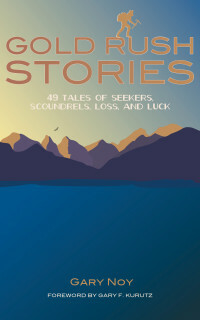 Gold Rush Stories: 49 Tales of Seekers, Scoundrels, Loss and Luck explores the deeply human stories of the California Gold Rush generation, drawing out all the brutality, tragedy, humor, and prosperity as lived by those who experienced it. In less than ten years, more than 300,000 people made the journey to California, some from as far away as Chile and China. Many of them were dreamers seeking a better life, like Mifflin Wistar Gibbs, who eventually became the first African American judge, and Eliza Farnham, an early feminist who founded California’s first association to advocate for women’s civil rights. Still others were eccentrics—perhaps none more so than San Francisco’s self-styled king, Norton I, Emperor of the United States. As Gold Rush Stories relates the social tumult of the world rushing in, so too does it unearth the environmental consequences of the influx, including the destructive flood of yellow ooze (known as “slickens”) produced by the widespread and relentless practice of hydraulic mining. In the hands of a native son of the Sierras, these stories and dozens more reveal the surprising and untold complexities of the Gold Rush. Gary is the author of many newspaper columns and magazine articles on Sierra Nevada history and culture, for such publications as the Grass Valley Union and Sierra Heritage magazine. Gary is the author of the best-selling Distant Horizon: Documents from the 19th Century American West (University of Nebraska, 1999) and co-editor, with Rick Heide, of The Illuminated Landscape: A Sierra Nevada Anthology (Heyday Books, Sierra College Press and Santa Clara University, 2010). Gary was an editor for the award-winning Standing Guard: Telling Our Stories (Sierra College, 2002). 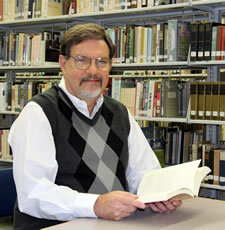 Now semi-retired, Gary continues to volunteer for a number of Sierra College historical and cultural projects.